This pattern is available in sizes XS through XXL. 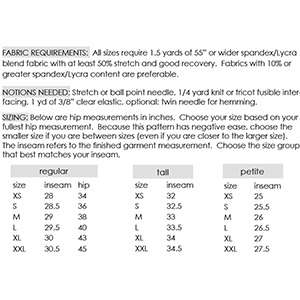 Suggested fabrics are knits with at least 10% spandex/lycra content such as cotton lycra or lycra spandex. 1.5 yards needed for all sizes.